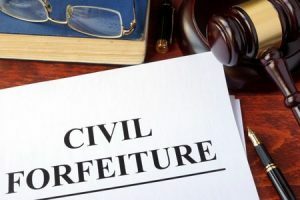 Asset forfeiture is a legal process used by the local, state and federal government to punish further individuals accused of criminal activity and this means that law enforcement can forfeit or take ownership of your money or property if they believe it was used in the commission of a crime or acquired with illegal funds. Because the process is used by local, state, and federal government, does that mean that your asset forfeiture was legal? When an authority figure tells you that this process is legal, does that mean that you should not question whether or not the process followed in your case is any different? These are important questions that can be answered by a qualified Asset forfeiture attorney. The most common items to be seized includes homes, planes, trailers, boats, bank accounts, family or personal property, and jewelry. It is common to use asset forfeiture in drug cases as well as financially motivated or white collar crimes. For example, if you are suspected of manufacturing drugs in your home or transporting drugs in your car, your house and car would be subject to forfeiture because they “facilitated” the execution of the crime. In cases involving a white collar crime such as money laundering, any property that was purchased through fraudulent means or with the proceeds of illegal activity is subject to confiscation. One of the most controversial aspects of asset forfeiture involves the seizure of property when you haven’t been formally charged with or convicted of a crime. The latter is known as civil forfeiture. In the criminal justice system, a person is presumed to be innocent until proven guilty but the practice of civil forfeiture turns this principle on its head. What’s even worse is that law enforcement can sell your property and pocket the proceeds. “Policing for profit” has become a pervasive problem in Massachusetts. In fact, the state is famous for having the worst asset forfeiture laws in the country. Between the years 2004-2014, local and state officials seized $138,824,424 through the civil forfeiture process. If you have had your assets seized by the government, contact Criminal Defense Attorney Thomas Kokonowski to receive support and guidance for your case. We can put together a strong defense aimed at recovering what rightfully belongs to you. Criminal defense attorney Thomas Kokonowski combines 25 years of criminal trial experience, with broad experience and expertise in civil and criminal forfeiture matters.